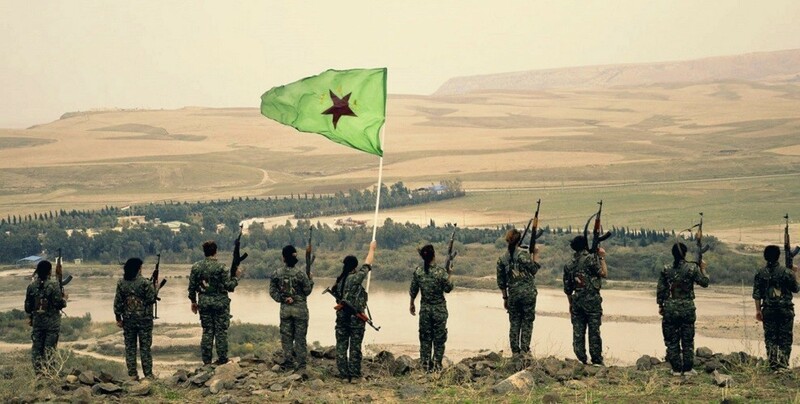 YPJ International Fighters Info Office released a statement marking the 8th of March 2019, international Women’s Day. For more than 100 years the 8th of march is the day of our common expression of fight for women’s rights and women’s liberation around the globe. It is the common expression following the everyday fight against patriarchy for 5000 years. For this we send our warmest regards to you, wherever you may resist on this symbolic day. We are aware of our historical heritage as well as of the current historical situation. Fighting as internationalist women and non-binaries in the ranks of the women’s self- defense unit YPJ in Rojava and Northeast Syria, we don‘t follow the capitalist-patriarchal idea of dividing the people, disconnecting people from each other and making them lonely. It‘s our deepest belief, that we will liberate our gender, all humankind and the entire world just by fighting shoulder at shoulder. In this historical moment, the fight between the democratic modernity for which women’s liberation plays a leading role, and the capitalist modernity, for which patriarchal oppression is the root, has reached its peak. We see it in the Rojava Revolution, and in the successful fight of YPJ against ISIS. We see it in the revolutionary struggle of our Zapatista sisters, who recently expressed their unflinching situation in the face of “new bad governments”. We see it in the unbreakable resistance of our brave comrade Leyla Güven, who turned herself into a weapon against the system that isolated the Kurdish philosopher Mr. Abdullah Öcalan. We see it in the leading role of young women and girls in the worldwide uprising of youth, to save our earth and human existence and to advocate a system change rather than a climate change. We see it in the eyes of the Yazidi women and children, who have been liberated after their abduction by ISIS during the feminicide in Shengal five years ago. We see it just everywhere, where we open our eyes for it. The enemy is increasing his attacks, refining his ways. But we reached an incredible awakening of the oppressed ones, firstly the women and non-males. And the history is on our side. Humans were living in a natural and harmonic way for millions of years, but under patriarchal terror for a few thousand years. The male mentality brought this dark period into the universe, feminist mentality will defeat it and recreate life! The 21st century will be the century of women’s liberation. We call all women and non-binaries to stand up, to resist and to organize a global unity of our genders! The enemy is the same, our methods against him carry many colors, because this is what we‘re fighting for: to make the color of all peoples come to life again. We send our respectful solidarity to all our sisters and to all the fighting souls.